We’re excited to have you as our guest! We understand visiting a church for the first time can be nerve-wracking. Here's some information that will make your first visit with us feel as comfortable as possible. 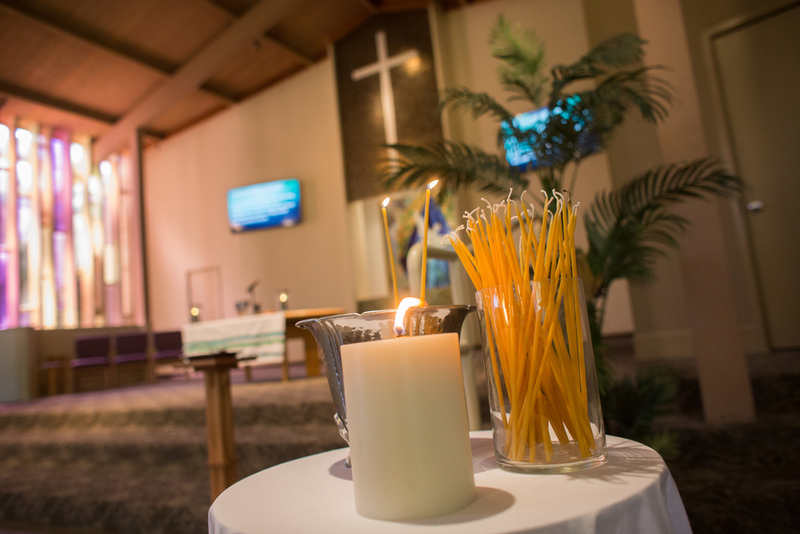 Worship starts at 10:00 a.m. in our sanctuary. 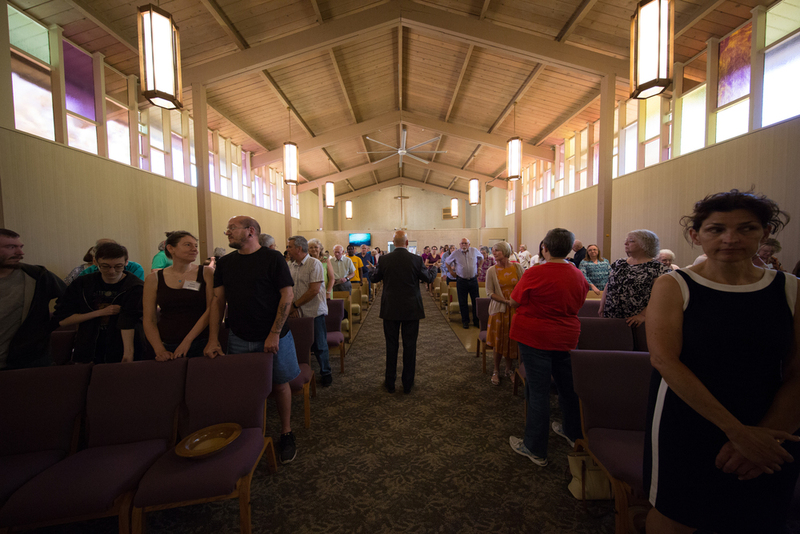 Expect singing, preaching, praying and celebrating communion -- all in a place where strangers and friends are welcomed to be part of an open and inclusive family of faith. Our interim minister, Rev. 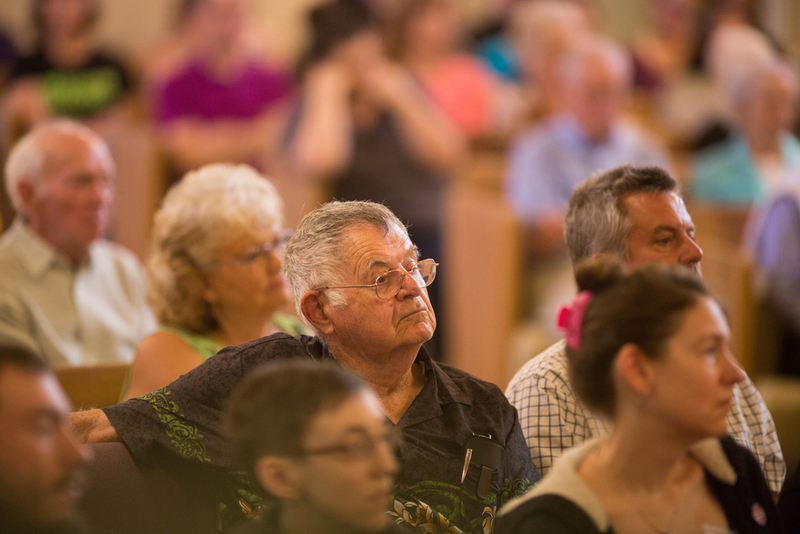 Dr. David Ernat, and each week’s worship leaders guide things as they go. The worship bulletin provides a rundown of that week's service plus announcements and a calendar of events for the coming week. 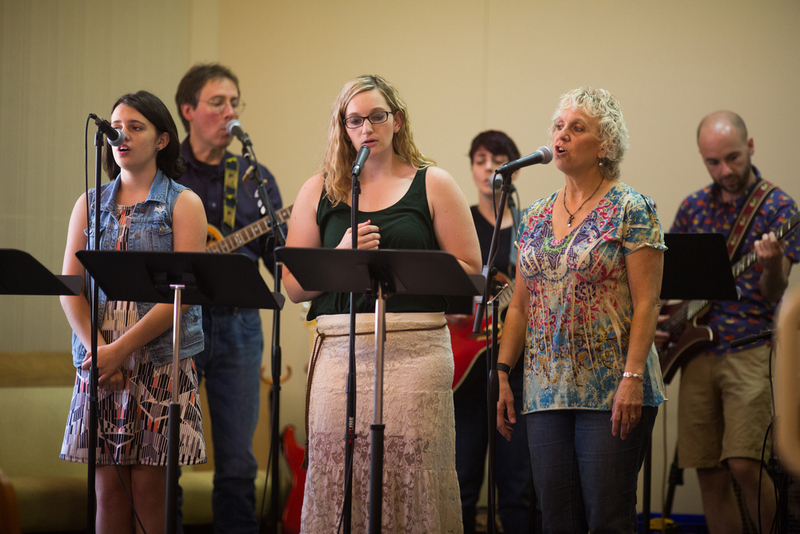 Our dynamic worship band, The Way, provides a mix of music. Expect to join in both lively contemporary music that will make you want to clap along, as well as beautiful arrangements of traditional hymns that are beloved by many generations. We hear God’s word presented with relevance and depth. Rev. Dr. David Ernat, our interim minister, and occasional guest preachers relate centuries-old scripture to the struggles of life in the 21st century. Here is what we'll be talking about this week. We lift the joys and burdens of our lives to God during prayers led by our pastor and worship leaders and during silent prayers. 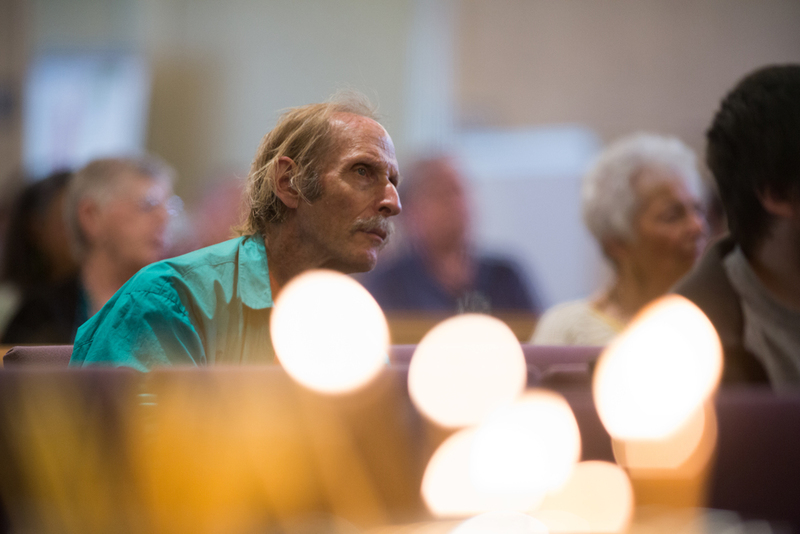 During a song early in the service, many members light candles on a table to the side of the sanctuary to give light to their prayers. 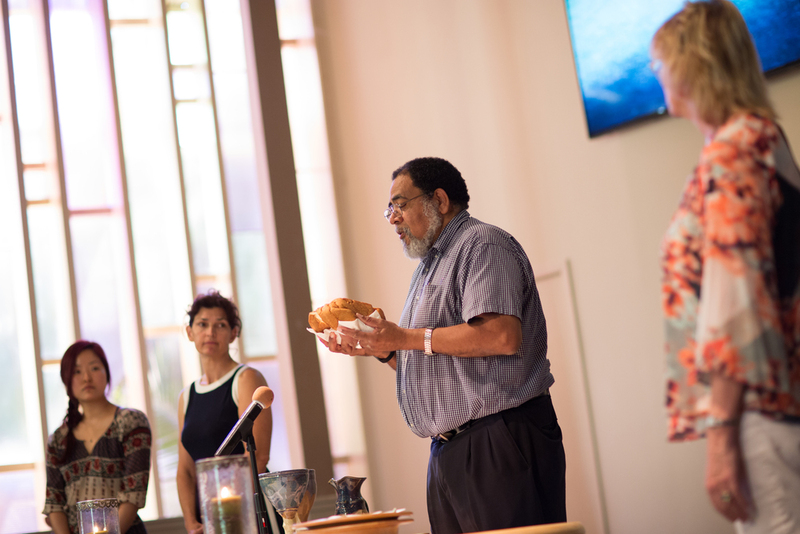 Every Sunday service concludes with communion, a simple meal of bread and grape juice that forms the center of our life together. We also offer gluten-free crackers so all can participate in communion. 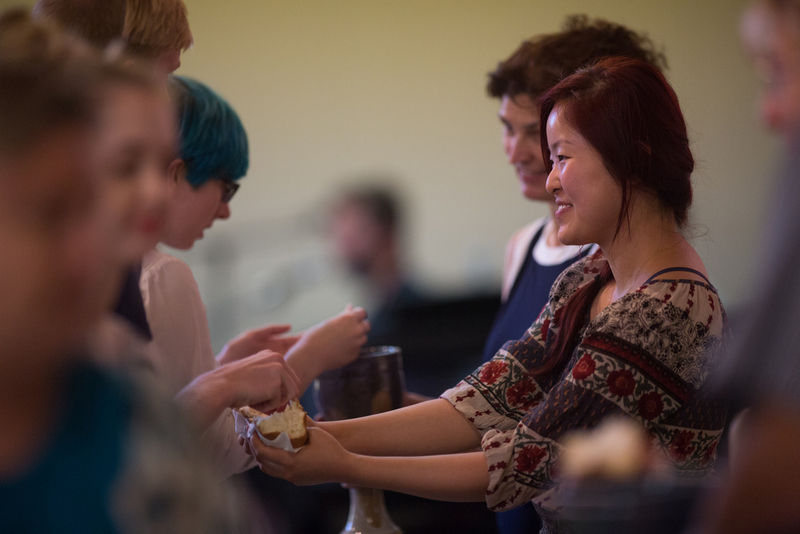 At FCC, everyone is welcome to take communion, whether you are baptized or not, whether you believe a little or believe a lot. We have no dress code. Feel free to come as you are and dress as you’d like. Here you’ll find all sorts of people from all walks of life. Some people wear a tie or a dress and others have tattoos and piercings. You get the idea. Whatever helps create a spirit of worship in you is fine by us. We have plenty of parking, and even make sure to reserve some spots right up front for our guests! We have several spaces reserved for those needing handicap accessibility as well. What about Sunday School classes? During the school year we have classes for all ages from 9 to 9:50 a.m.
Children are always welcome in worship, but we also have nursery care and programming especially designed for our kids. We're excited to see you! During the welcome at the beginning of worship, you’ll be invited to fill out a guest card. Feel free to give us as much or as little information as you’d like, and we’ll look forward to connecting with you after your visit. Our interim minister, David Ernat, will also be available to meet you following worship. Please be sure to introduce yourself to him. Our elders are also available after worship for private prayer.